HomeCharleston Massacre-Indications of a Drill. Charleston Massacre-Indications of a Drill. 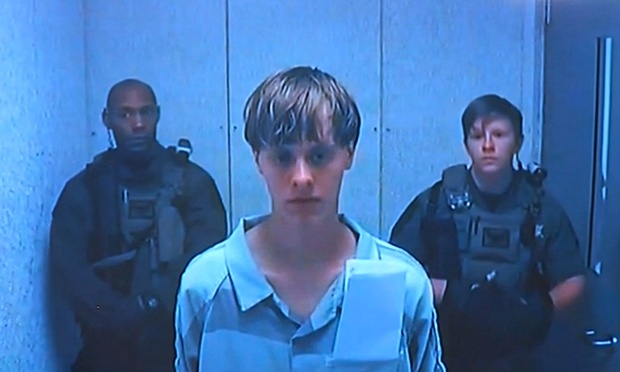 Dylann Roof speaks via a video link during a bail hearing in Charleston. The Charleston Massacre Does Not Make Sense. We are expected to believe some foaming at the mouth white racist shows up to the Bible study class armed and primed to kill, then sits down and does nothing for an hour? The black friends, the Facebook page, the Photoshopped pictures, the laughable manifesto or the grieving relatives. None of it seems to be real. Active Shooter Response Training Course, Charleston, June 15-19, 2015. Between the 15th and 19th of June, the dates surrounding the 17th, the date of the Charleston “attack”the Federal Law Enforcement Training Centre, the training arm of the the Department of Homeland Security was running an Active Shooter response training course, named the Active Shooter Threat Instructor Training Program and designated ASTITP. 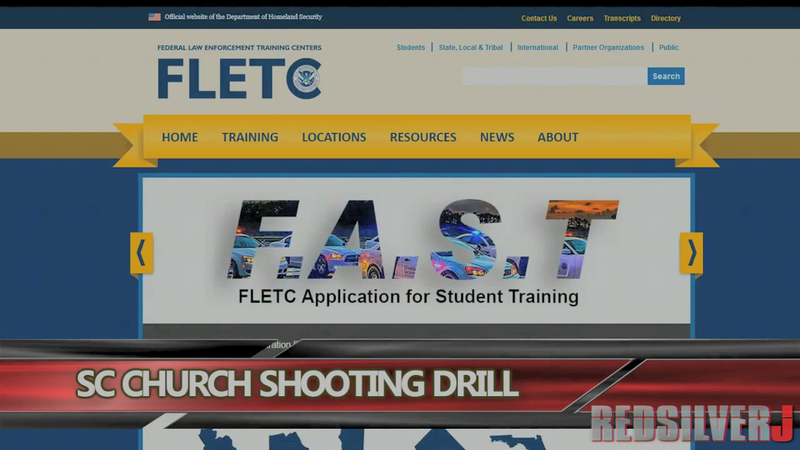 Front page of the Federal Law Enforcement Training Centre (FLETC) website. FLETC is part of the US Department of Homeland Security. Still from Red SilverJ-Team Wake Em Up. This is a brief description of the program from the FLETC website. These training programs are conducted very regularly in Charleston which appears to be a key training center for the Department of Homeland Security. The Charleston mid June program highlighted in a Team Wake Em Up video. Training roster indicates that these drills were very regular and common place, seemingly happening at least once a month in Charleston. The training program coinciding with the apparent massacre is certainly interesting and everything that is emerging is destroying the story they are trying to tell. 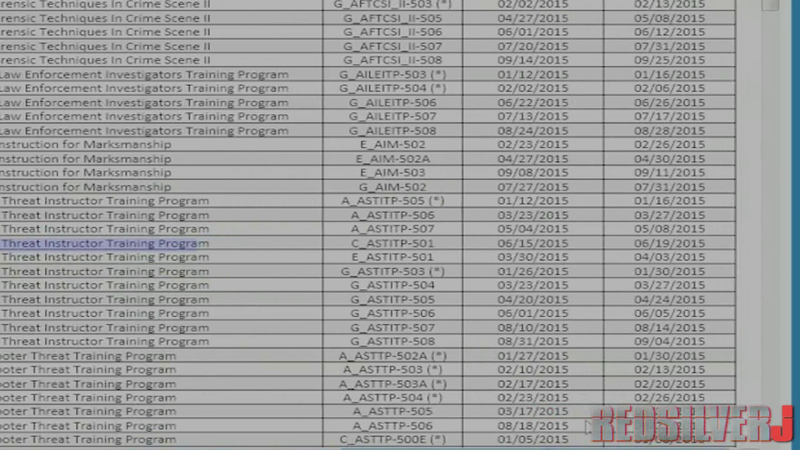 The evidence of the training program, although important does not prove that there was an active shooter drill. The event may be linked to the training program specifically or not but the heavy presence of the D.H.S in this area seems most telling either way. What is emerging points to the likelihood that this event was completely staged, but the hard evidence to support this claim is not there at this stage. Everything about this event appears to be fake. All the bereaved family members we hear sound like bad actors. The event has made an impact it has been believed and will continue to be believed even if it can be proven to be a staged event. The important thing for people to do in response is not to allow themselves to fall into any of the positions this event was meant to lure them into taking. 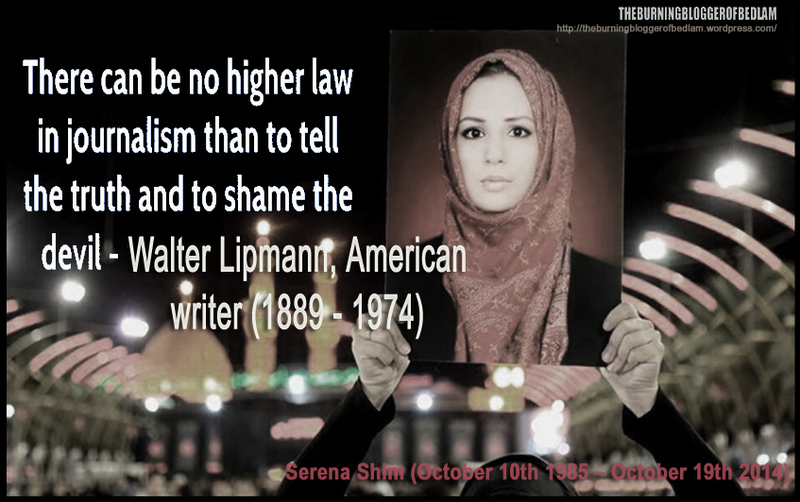 Not to be sucked into the “Divide and Rule” plot that is being played. ← Charleston Church Massacre- an Obvious Psyop. CHARLESTON – WHO IS RIGHT? Thank you AkhaldanSolo I am very pleased that I am in such company. Thanks for comment. Awesome, thank you very much the Right Advocate.